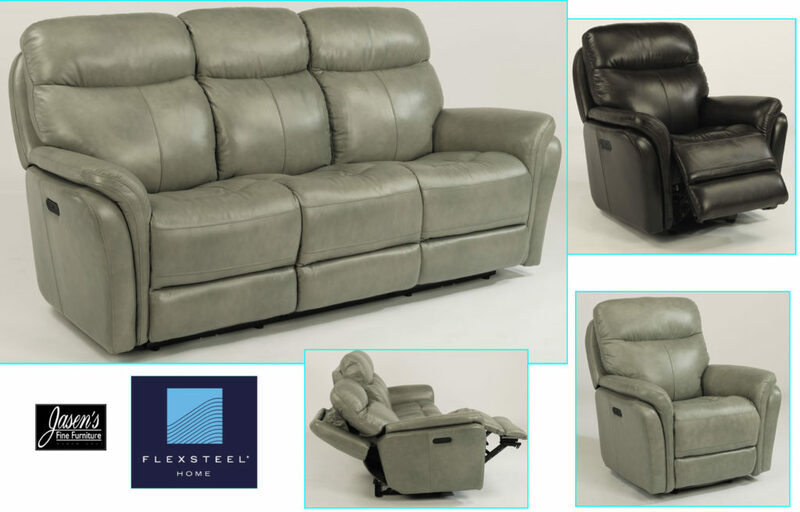 The Flexsteel Zoey features sleek, yet comfortable power reclining. The Zoey comes with power headrest and chaise for maximum comfort. The recliner comes upholstered in a supple, pebbled, dark brown or grey top grain leather. This product also comes with Flexsteel’s robust lifetime warranty on the springs, frame, mech, foam, and 5 years on electrical. The controls are simple, yet functional with a home button to reset the chair. In addition to being reliable yet comfortable the chair also has a USB port for charging. Overall dimensions of the sofa: 43″H x 85″W x 43″D. Overall dimensions of the chair: 43″H x 41″W x 43″D.